After graduating from Clermont-Ferrand Dental School, his commitment to provide access to dental treatment for all began in 1993 when he post-graduated in conscious sedation at the Montefiore Medical College of New York (Albert Einstein College of Medicine). Recognized by his peers, he was appointed President of EFAAD (European Federation for the Advancement of Anesthesia in Dentistry) for the 2009-2010 mandate. International speaker, he has trained over a hundred colleagues in conscious sedation techniques. 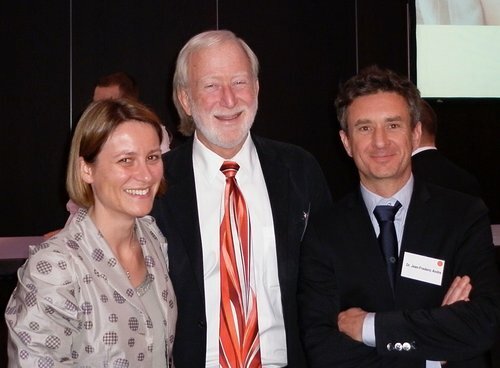 After having graduated from Bordeaux Dental School in 1996, Dr Dominique MILHE trained in the management of pain and anxiety for the dental patient at SAAD (Society for the Advancement of Anesthesia in Dentistry), in 2006. Since 1997, she has always had a private practice. From 2000 to 2004, she chose a new family life and settled in Los angeles, CA. Today, she serves as Executive Editor of EFAAD (European Federation for the Advancement of Anesthesia in Dentistry). Human and personalized care for each patient is at the heart of our engagement in dental medicine. Our professional path has given us the chance to actively participate in numerous scientific international events. Knowledge sharing with specialized colleagues is essential to offer our patients the best care. But there are other things in life than teeth... Curiosity and the desire to face new challenges animate us.